Let the Final Fantasy XV Product Placement Begin! Yes, that Coleman. The Outdoor Company™. 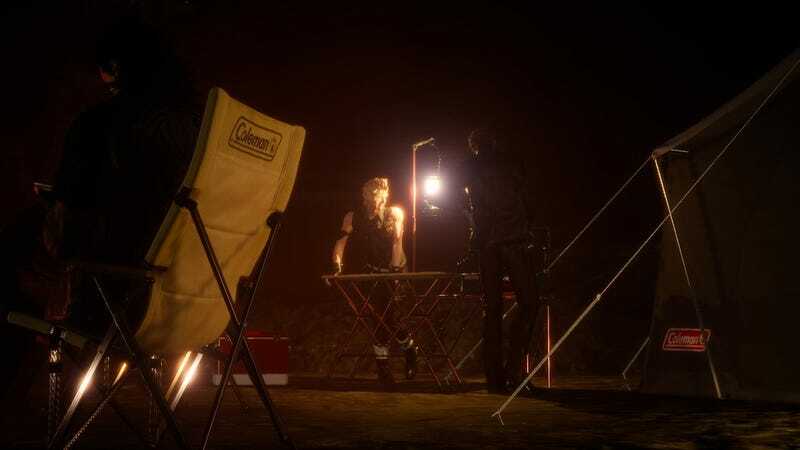 Final Fantasy XV characters will sit in Coleman camping chairs, cook on Coleman stoves, and pitch Coleman tents. How's that for a fantasy based on reality? As reported on Famitsu and 4Gamer, Coleman camping gear will appear as in-game items, complete with the Coleman logo. I added the red circles and the arrows. Subtle, right? In Final Fantasy XV, there is emphasis on camping, and in Japan, Coleman is incredibly popular. Both points might explain this collaboration. Or not.